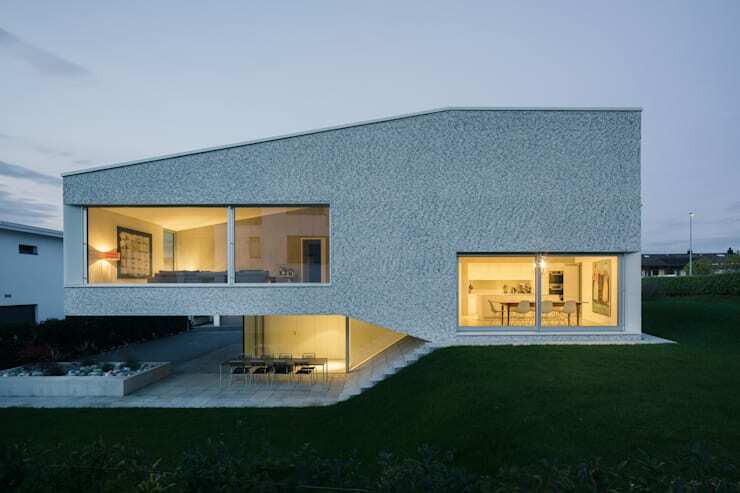 Rendered by the talented and visionary architects at KIT, this futuristic house in the March district of Switzerland impresses with unique designs and creative planning. Situated in a heavily developed area, the abode flaunts a split-level structure with a spatial sequence that offers varying degrees of light and intimacy for each level. Lavish use of pristine white makes the interiors appear bright and spacious, while minimalistic furnishing ensures style and function. Smart use of glass helps the owners to enjoy the view of the outdoors, besides guaranteeing ample influx of sunlight. Read on to know more. The quirky multi-level structure of the house wows us at first glance, while coarse-grained concrete with trowel plaster contribute to the unique texture of the facade. Glazing lends the building a stylish edge right from the entrance, and goes on to equip the dining and living areas with splendid viewing windows. Surrounded by manicured lawns, the house greets you with a modern outdoor seating arrangement and sleek steps guiding inside. 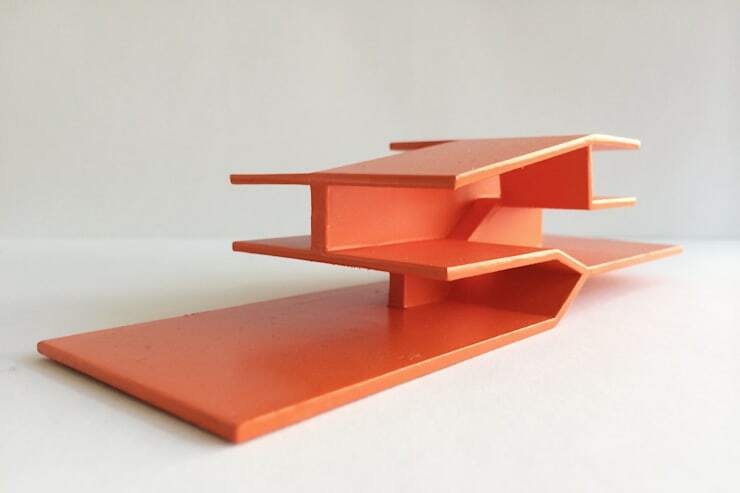 This bright and easy to understand three dimensional model of the home gives you a clearer picture of the split-level concept. The entrance at the ground level takes you first to the dining space on the first floor, which in turns leads to the living space on a lightly raised level. A flight of stairs guides you from the living area to the bedroom on the second floor. Very snazzy and bold, right? Large glass windows flood the spotless white living area with tons of sunlight and fresh air. Trendy and cosy furnishing, a minimalistic TV unit and some sleek accents complete the neat look here. The steps leading to the living zone from the dining are unique as well. They come with seating zones on their left. Just laze around here with a couple of books and some plump cushions for comfort. A sleek wooden table and sleek white chairs make the minimalistic dining space inviting, while large glass windows offer a stunning view of the outdoors. A large vintage painting and an elegant chandelier offer aesthetic delight in this space. 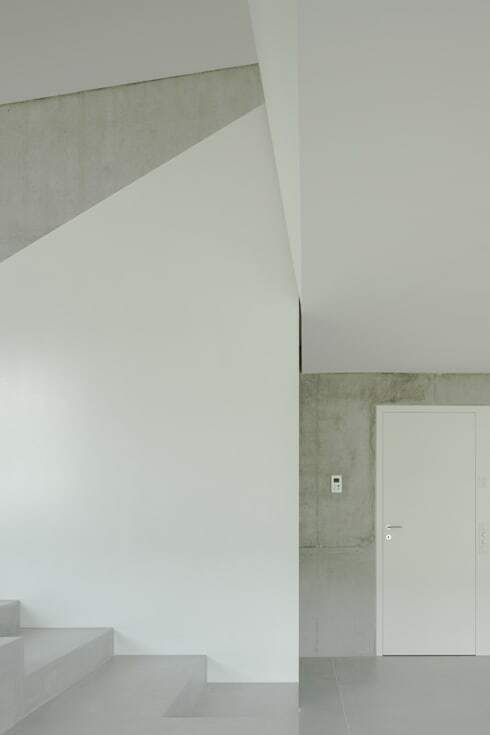 The staircases in this house are sharp and smart, featuring slightly varying tones of white for visual depth. Smooth and gleaming floor and steps add to the charm of these functional structures. 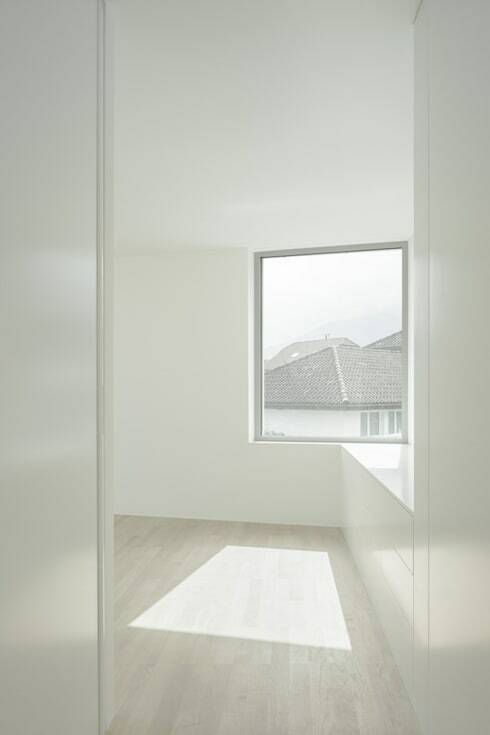 A large window helps the refreshingly white bedroom to stay sunny, airy and cosy throughout the day. Minimalistic designs and decor scheme make the room appear spacious and breathable as well. Inspired by the unique style statement of this home from the future? We too love how despite the different levels, various functional spaces flow smoothly into each other. The generous use of glass and white hues is an added bonus. Check out another tour for more ideas - The Eco-Friendly Home That Embraces The Sun.